Most of my adventures happen in a day, or a walk, or maybe even in a minute. But this adventure took a long time to unfold. Because every time I walked by this place something had changed. 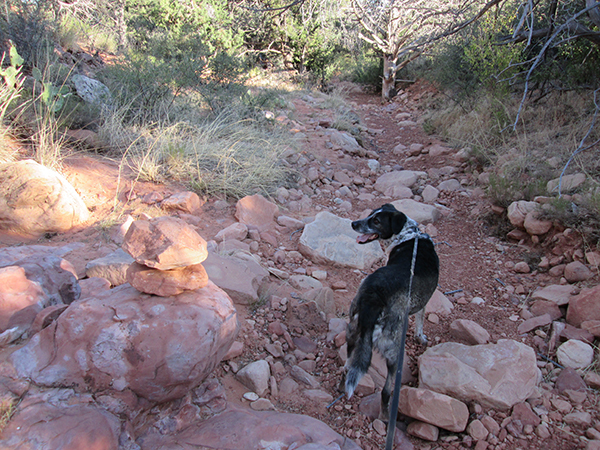 For some reason people like to stack rocks on my trails. Sometimes when I go for a walk I’ll find that a new stack has appeared. And sometimes it’s gone again the next day. But one particular stack started out small. So I started getting excited to see what would happen each time I walked by. How big would this stack get? I’m not very good at counting, but aren’t there supposed to be more rocks on this stack, not less? I pass this stump almost every day when I go walking on my trails, but there’s something different about it today. 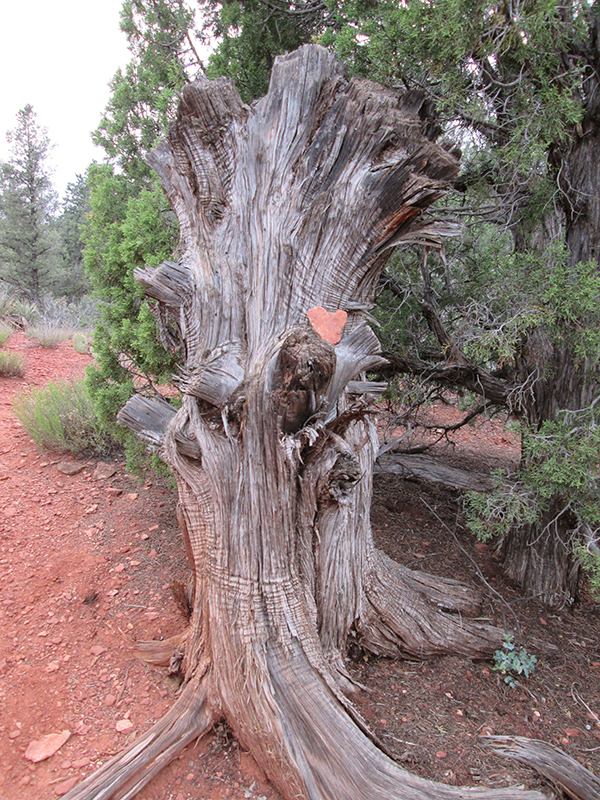 This stump has a heart. It never had a heart before. 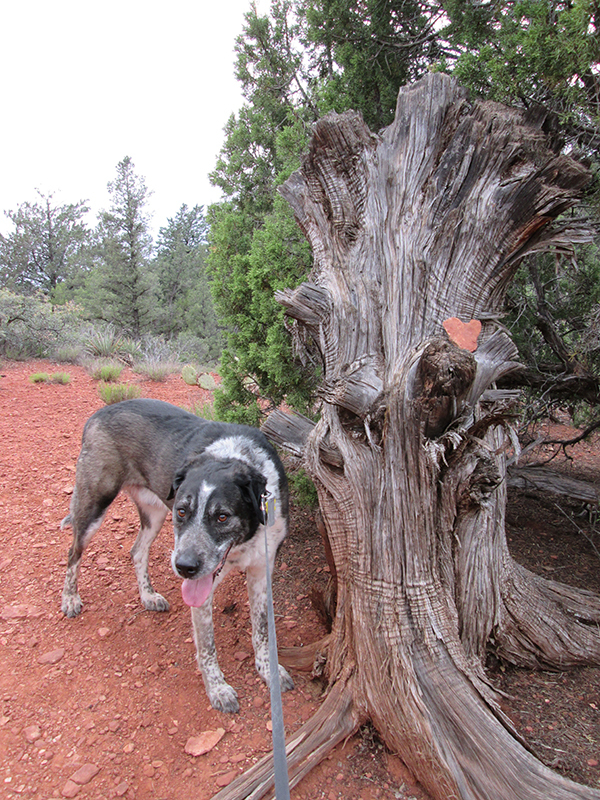 I wonder if this stump went to the Land of Oz and got its heart. You know, like the tin man who wanted a heart. So he went and talked to the wizard. That tin man had to do a lot of hard things to find out that he really did have a heart. I wonder what this stump had to do. 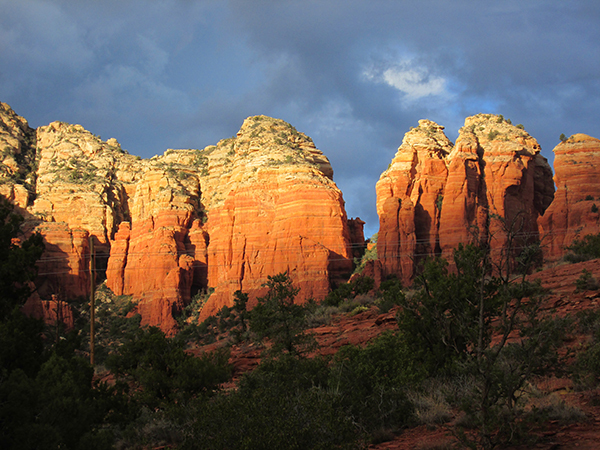 Maybe build a few rock piles – or knock some down. Or chase away the aliens when they try to invade my trails. 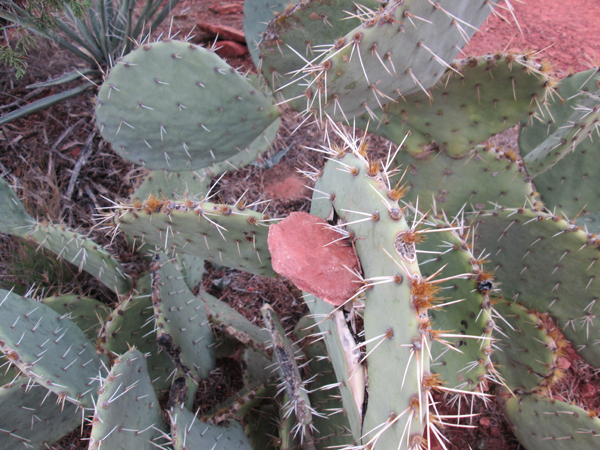 Or it might have stood guard against those nasty javelina when they tried to eat the prickly pear cactus. Whatever that stump did, it worked. 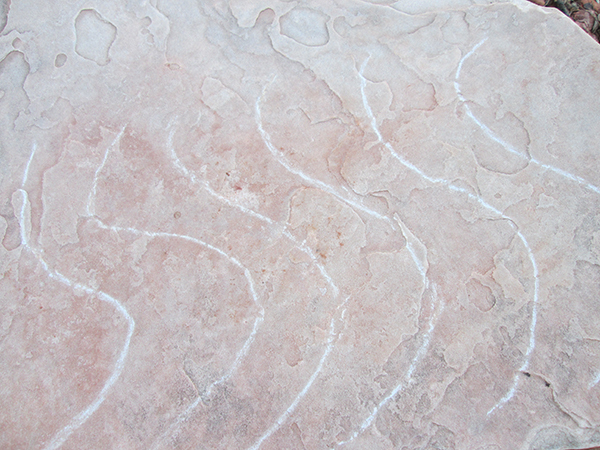 I was walking along the wash on my trails today, like I do almost every day – when I saw it. 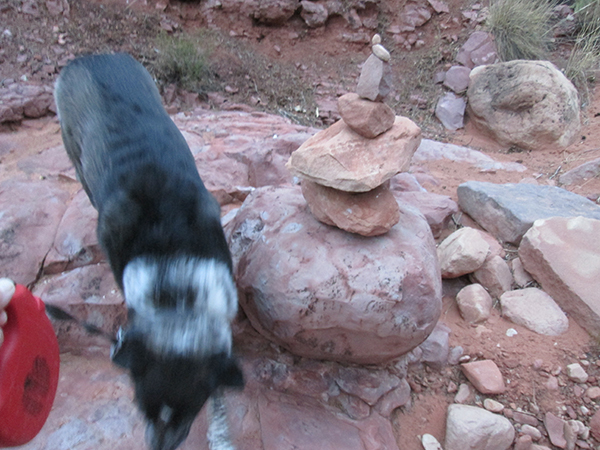 Rock piles have been showing up everywhere and here was yet another one. One of these days every rock on my trails will be part of a pile. This might cause a serious problem. 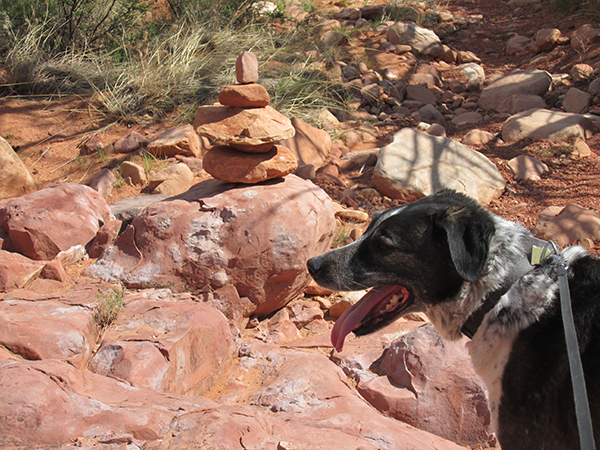 If one of those rock piles falls over, a lizard might get smashed. Or maybe even a dog! Because someone is keeping an eye on me. And they obviously know my secret identity. And now here are more. They obviously know that I’m Super Dog. That I’m the star of the show. 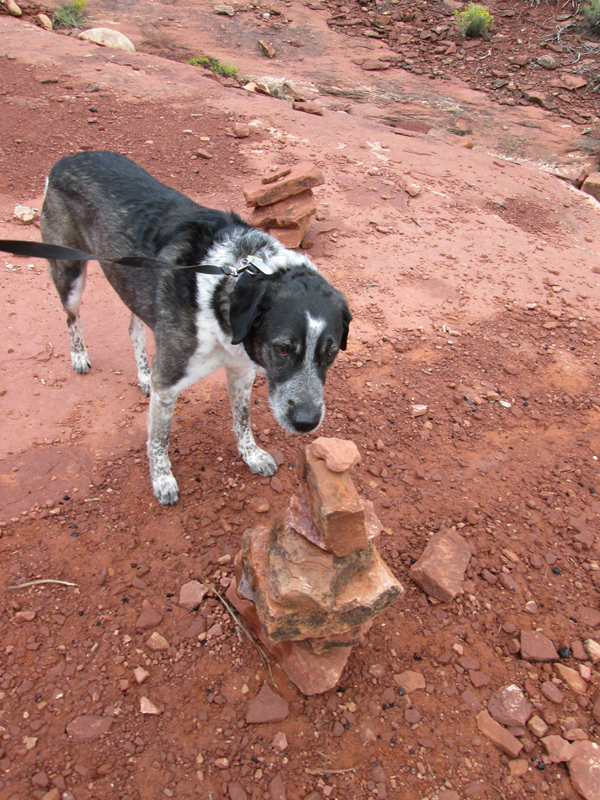 I know everybody’s been waiting anxiously to find out who’s been building all these rock piles. Now all I have to do is find this culprit. Today there wasn’t a single car parked by my trails. This doesn’t happen very often. I had to check under the rocks to make sure there were no cars hiding there. 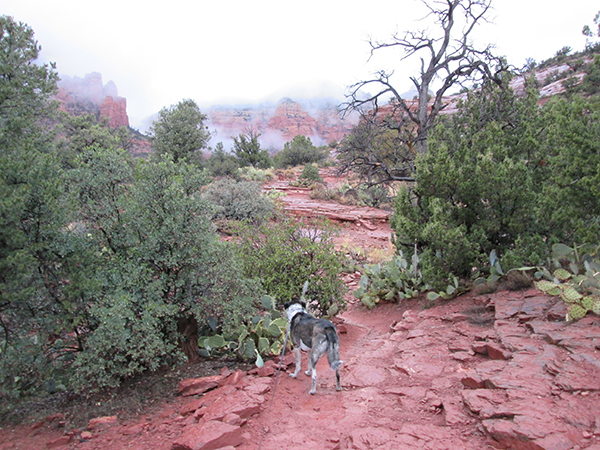 And we didn’t see any people or dogs on my trails either. I don’t know what happened to everybody. But I think they were all erased. Because I caught somebody in the act. 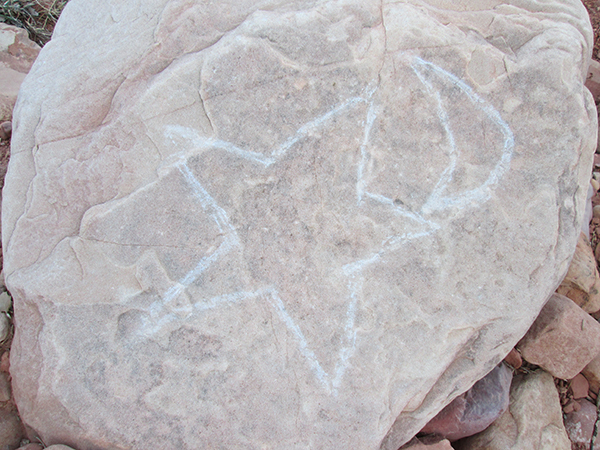 Somebody trying to erase my rocks too, and they hadn’t finished yet. I’d better be careful so nobody erases me. Because my trails are extra fun today. For some reason there are more puddles than usual. 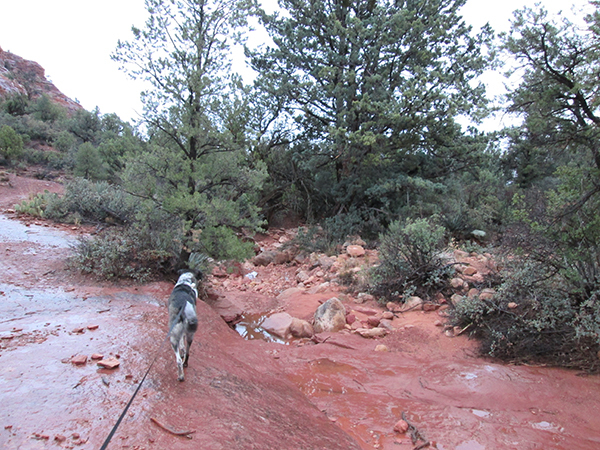 I love splashing through all the puddles – and tasting them too. And today I found something really unusual. 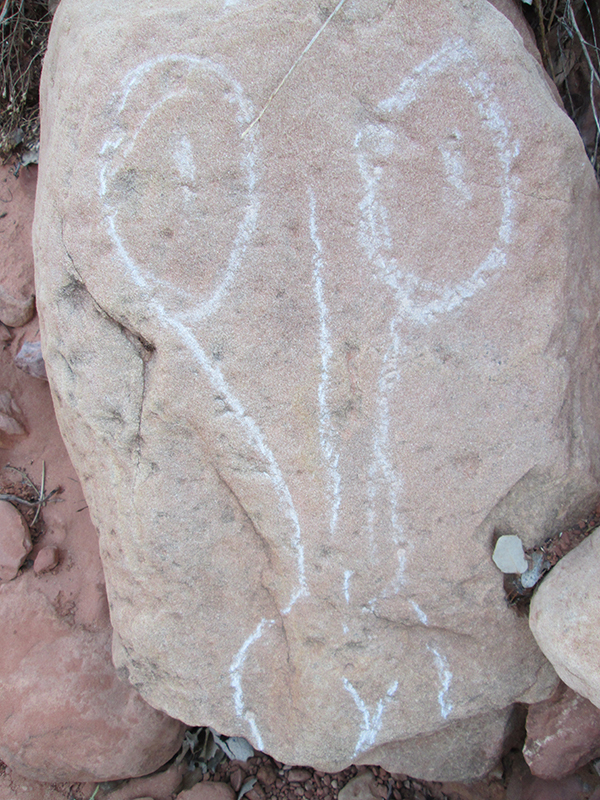 I hope they weren’t behind all that erasing, because I’ve never seen anything quite like them on my trails. Maybe they’re here checking out what’s happening, and they’re here to help. But what if they’re the cause of the erasures? I think I’d better keep my distance. Stay away from those bubbles! I’ve got some investigating to do. I’ve seen bits and pieces of strange things on my trails the last few days so I’m going to start out right. 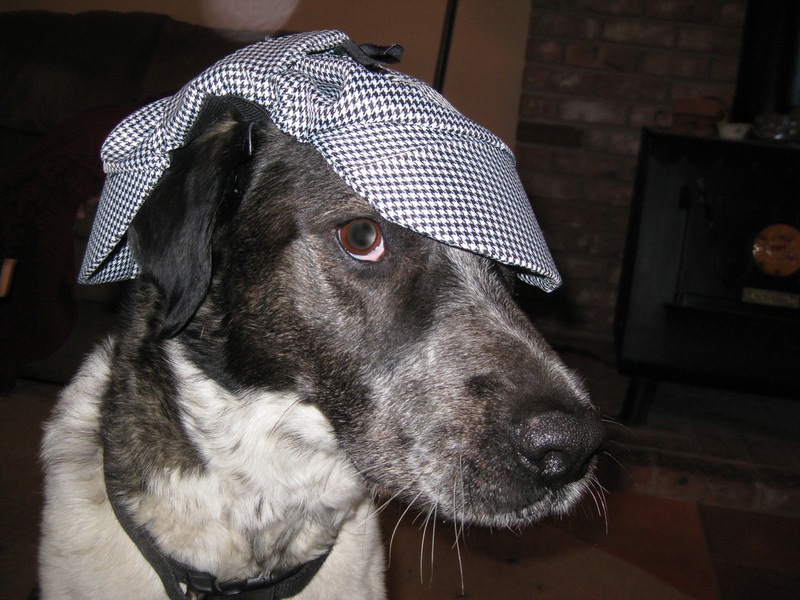 I’ve got my Detective Dog hat on already. 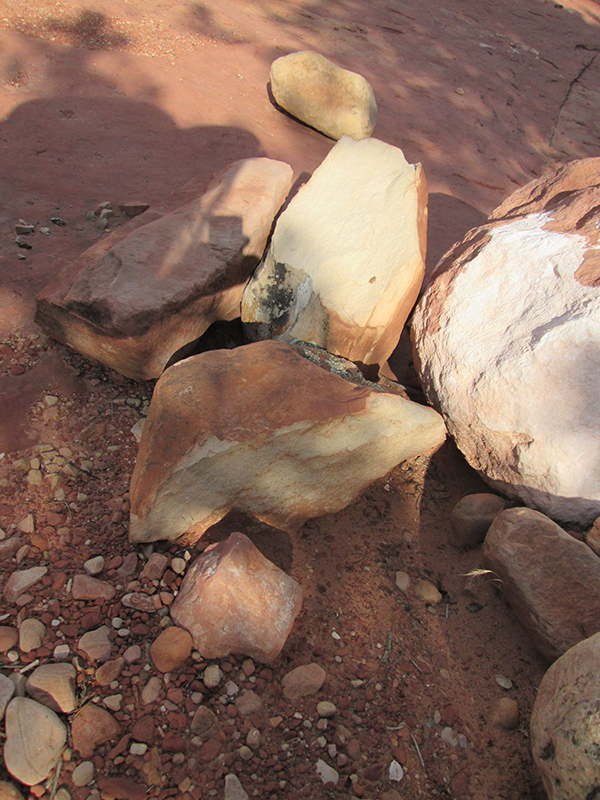 There’s a spot just off of one of my trails that has strange rocks piled up around a small clearing. 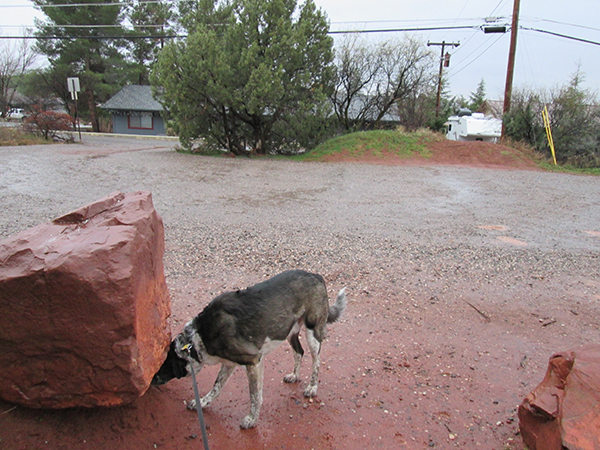 But my person won’t let me go investigate that spot because when we walk by there are people guarding it. I’m not sure if they’re really people. They’re probably aliens or something. But since they’re guarding that place I’ve got to see if I can find some clues to what that place is somewhere else on my trails. They had to get to that spot somehow, and that means they’ve probably left some evidence. I’ve found some strange smells, but for some reason people won’t accept smells as evidence. If they’d only improve their noses. So I searched and searched for something my person could see. And finally I found it. Way off on a little side trail that hardly anyone ever uses, there it was. 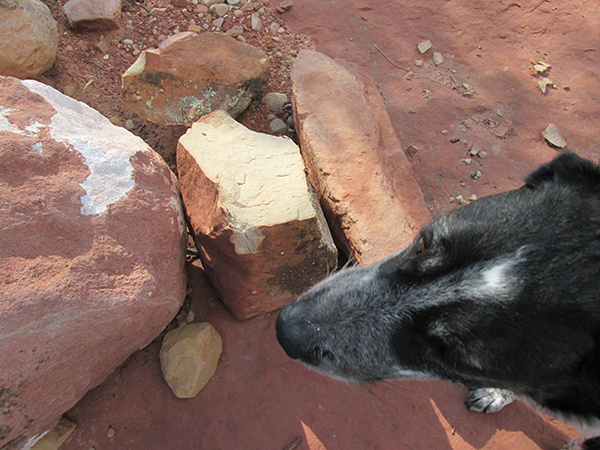 Whoever piled up those strange rocks in that other place must pile up rocks wherever they go. Yup, they’ve been here alright. Now that I know where they’ve been I’ve just got to figure out who they are. Don’t stop and talk to any aliens. There are a lot of rocks on my trails. Big rocks and little rocks. 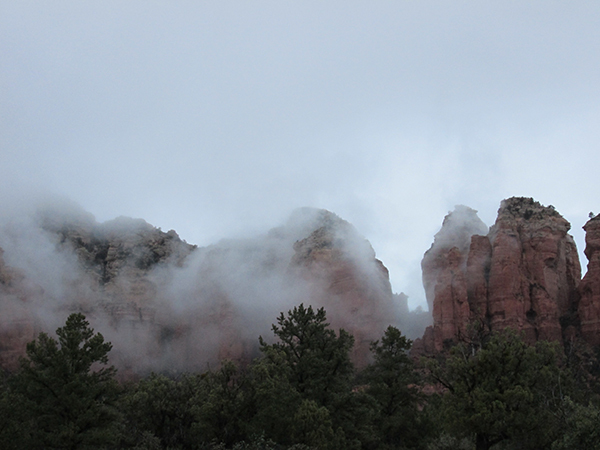 Rock mountains and boulders. Mostly they just hang out where they are. 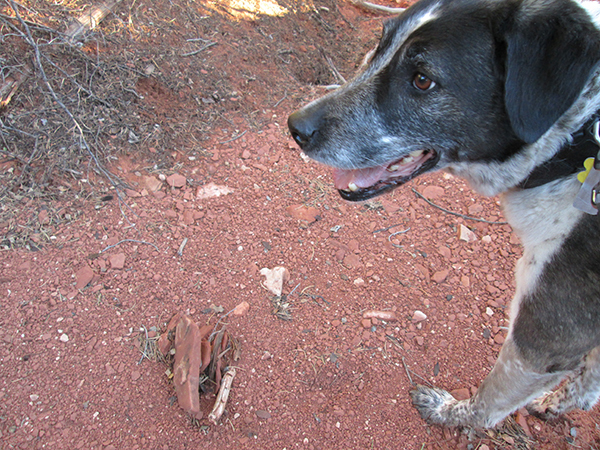 Well, sometimes a bunch of tiny rocks will gang up on my person and slip right out from under her foot. 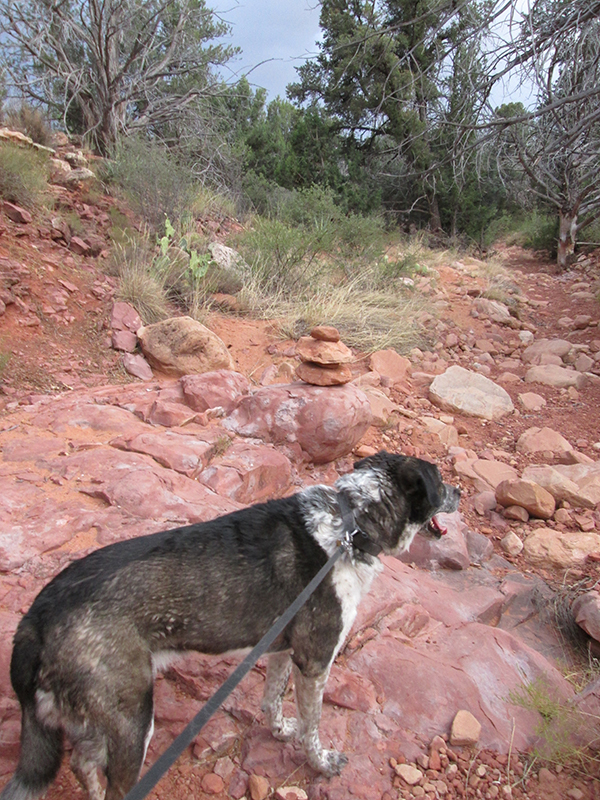 There’s one trail that she won’t let me take her down at all when it’s dry because it’s full of little rocks that like to do that to her. 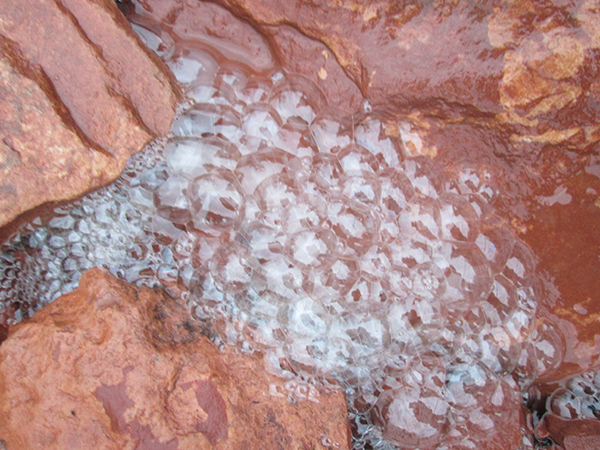 But today, I found a few rocks doing something different. They decided to see how high they can get. 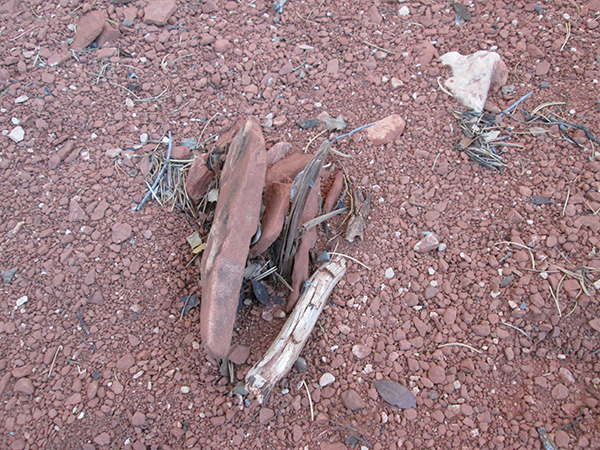 I found two piles of rocks right next to each other. 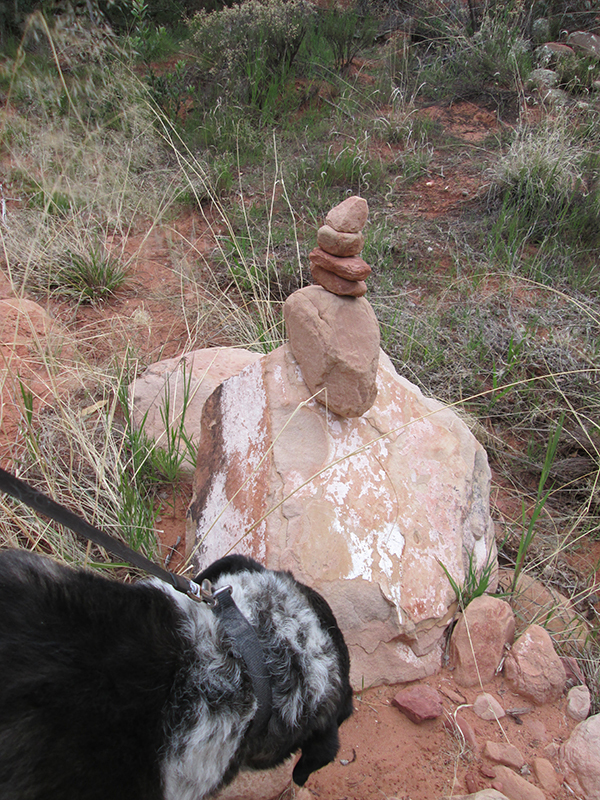 Come to think of it, I saw some of those piles on our hike the other day – on different trails. And my person says she’s seen piles in other places too. So why are these rocks doing this? Are they trying to top the next rock by seeing who can climb the highest? Are they trying to get all the rocks to join them so they can become part of a rock wall? Maybe they’re playing a new game. You know, like pig pile on – only it’s rock pile on. 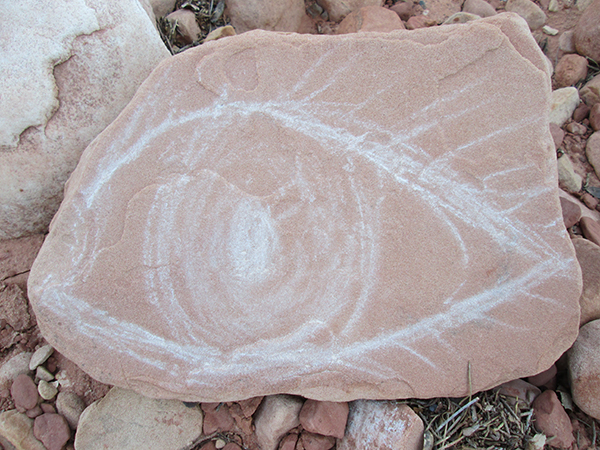 Just when I was about to give up trying to figure out what these rocks are up to, I came across another rock. 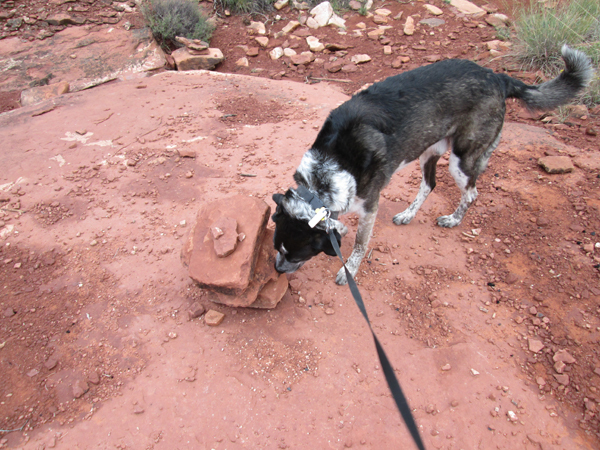 And this rock had really strange behavior. I mean, who would purposely stick themselves into a cactus. Usually it’s the cactus that sticks itself into someone. Oh wait, now I get it. That cactus is sticking. It’s sticking out its tongue.